What a stunning wedding at Malibu Rocky Oaks. This photo of the bride and groom on this rocky point was made possible by a team of helpers who lifted the bride up. 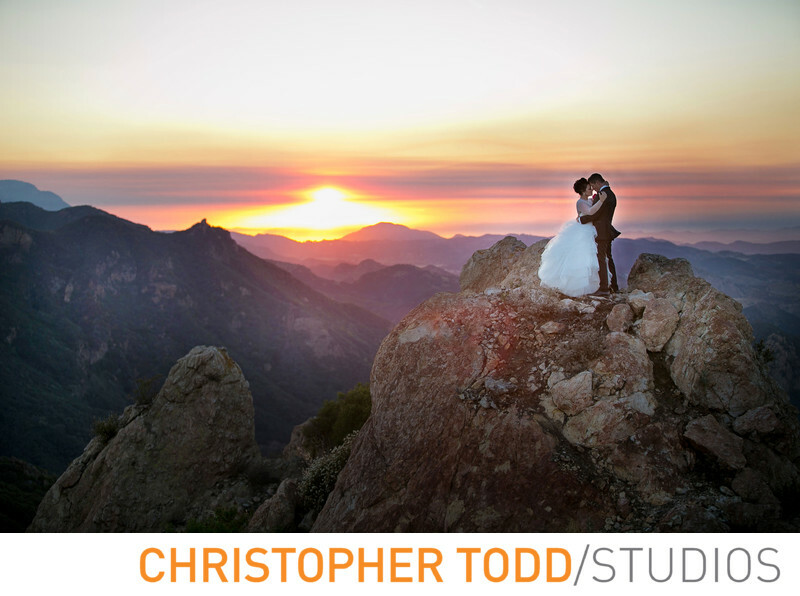 The bride and groom stood on this rock as the sun set so we could capture this beautiful once in a lifetime portrait. We photograph weddings all throughout Los Angeles and Orange County. Our experience is what sets us apart from other studios. 1/250; f/2.8; ISO 200; 70.0 mm.